The liquefaction process involves removal of certain components, such as dust, acid gases, helium, water, and heavy hydrocarbons, which could cause difficulty downstream. The natural gas is then condensed into a liquid at close to atmospheric pressure by cooling it to approximately −162 °C (−260 °F). 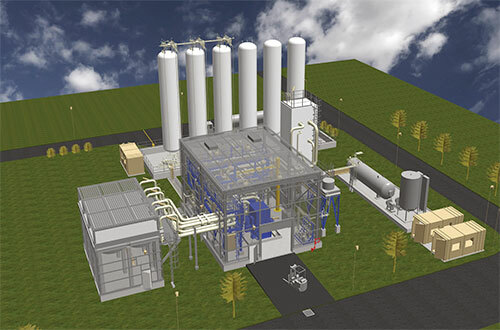 Through its StarLiteLNG™ family product, Cryostar also offers land-based small scale liquefaction units to monetize various natural gas sources like associated and stranded gas, coal beds/coal mines, flare gas and biomethane.